Click here to buy Malaysia Airlines MH flight ticket at cheapest discounted promotional air fares price. KUALA LUMPUR: Malaysia Airlines’ Mega Deals promotion starts on Friday and will stretch until Aug 18, offering discounts of up to 30% for both business and economy class. The national carrier said on Thursday the discounts are for immediate travel until Dec 9, 2017. “This special promotion will also be made available during the three-day annual MITM Travel Fair held at Mid Valley Exhibition Centre from Friday until Aug 13, via the Malaysia Airlines’ preferred travel agents,” it said. 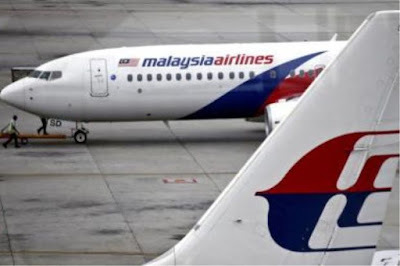 Malaysia Airlines said customers can enjoy all-inclusive deals on Economy class from as low as RM1,009 to Beijing, Nanjing and Fuzhou, RM1,109 to Mumbai and RM1,229 to Seoul and Tokyo. Business class travel is also available from as low as RM869 to Jakarta, RM1, 649 to Chennai and RM 11,999 to London. The fares are for flight departures from Kuala Lumpur. He added customers may also make their booking through the mobile app, MHmobile or by visiting the website (click here), until Aug 18.